As you know, we have a tonne of reports available for you to access the raw data of all the modules available in QuickSchools. At times, it might get difficult find the report you need, especially if you frequently need to get a certain few reports. 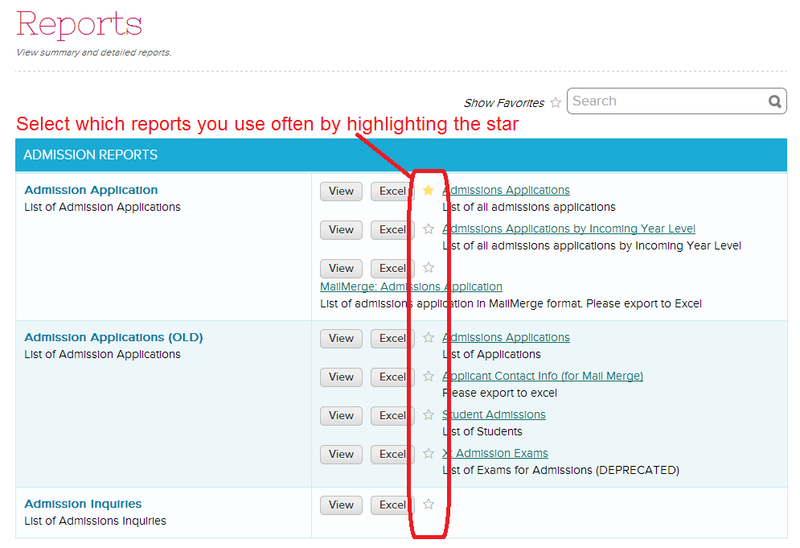 Once you’ve selected reports that you use often, you can use the “Show Favorites” link near the Search bar. This will only display the reports that you’ve selected. We hope you’ll enjoy this new features. As always, let us know what else you’d like to see in future releases of QuickSchools. Love this simple, but very helpful addition! Thanks! Thanks Joan. Yes, we’ve had several users who said the same. We’re glad you like it.